The Carpet and Rug Institute recently added instructional videos to its CRI 104 and 105 Carpet Installation Standards along with a Spanish translation of the standards. 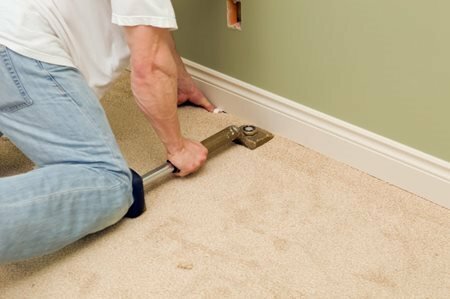 In a statement, CRI President Joe Yarbrough expressed pride in the success of the standards and hopes the new additions will help the standards continue to be the best guide for installing carpet. The goal of the new videos is to provide a visual guide for installers with the videos focusing on stretch-in installation, seaming, and power stretching. CRI 104/105 were re-released in 2015 and have been overwhelmingly popular online with more than 40,000 downloads and thousands of visitors to the website for the standards. CRI has also received hundreds of orders for the print edition. CRI’s installation standards represent over 25 years of installation expertise and information that reflects current product information to give consumers the best experience with their carpet. CRI 104/105 also offer professionals in the installation industry, flooring retailing, facility management, and others guidance for carpet installation. CRI 104/105 are available as a free download in PDF and multiple mobile formats on the CRI website at www.carpet-rug.org/install.